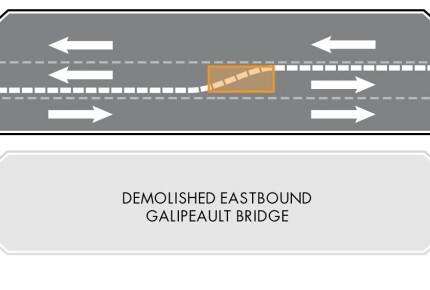 Galipeault Bridge, QC - Versilis inc. 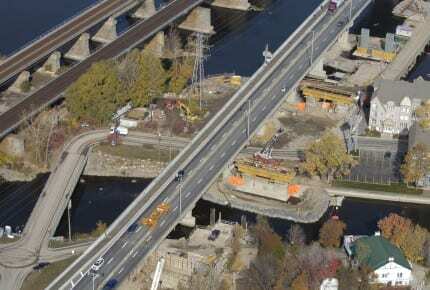 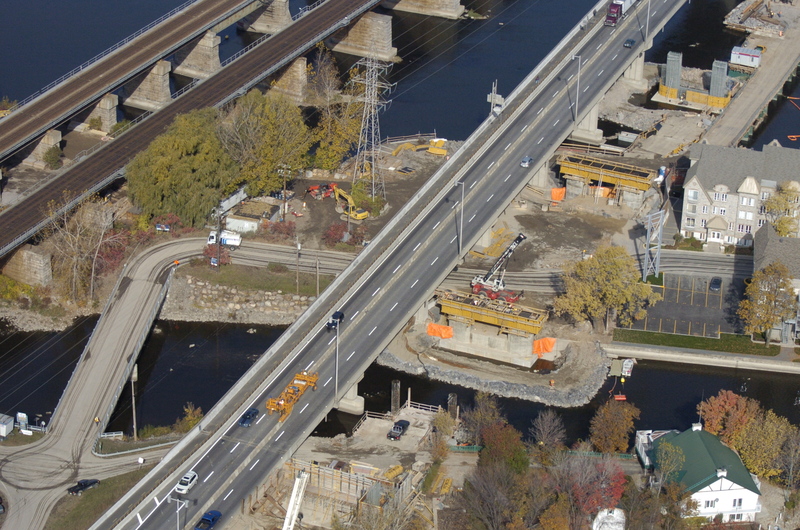 In 2009, the Quebec Ministry of Transportation embarked on the reconstruction of the southern structure of the Galipeault Bridge on Highway 20, between Île-Perrot and Montreal. 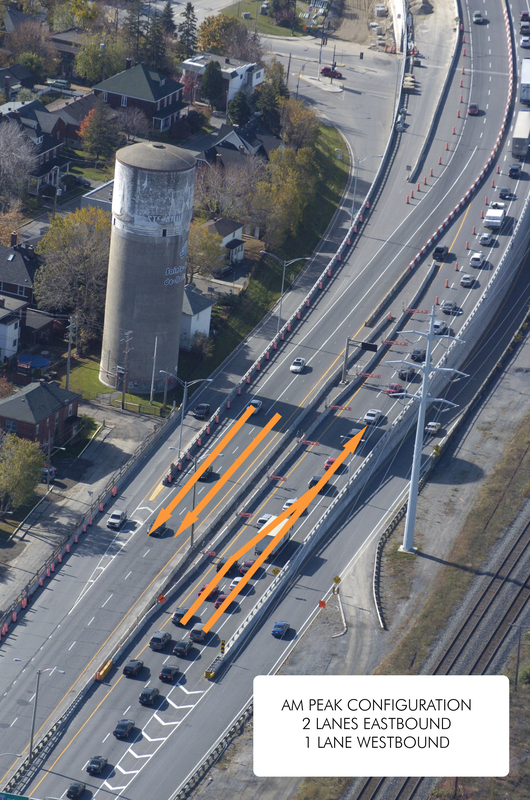 As the structure was demolished, all eastbound traffic was redirected to the northern structure where a reversible lane was put into place using a movable barrier which allowed optimal use of the available 3 lanes for the duration of the project. 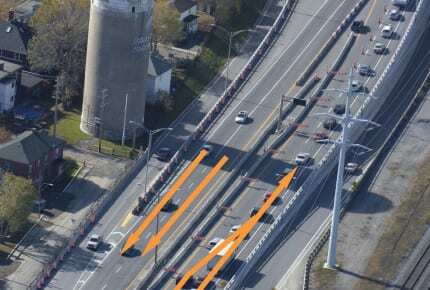 Lane configuration was changed twice a day, 5 days a week. 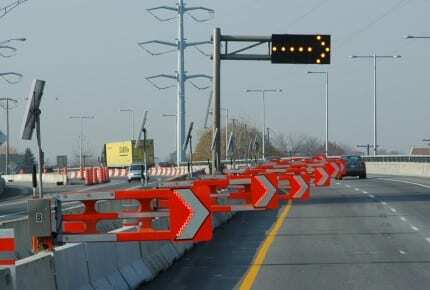 All lane closing and opening operations were conducted safely with the push of a button using a series of Automated Warning Signs (SwiftSign) and Automated Warning Gates (SwiftGate). 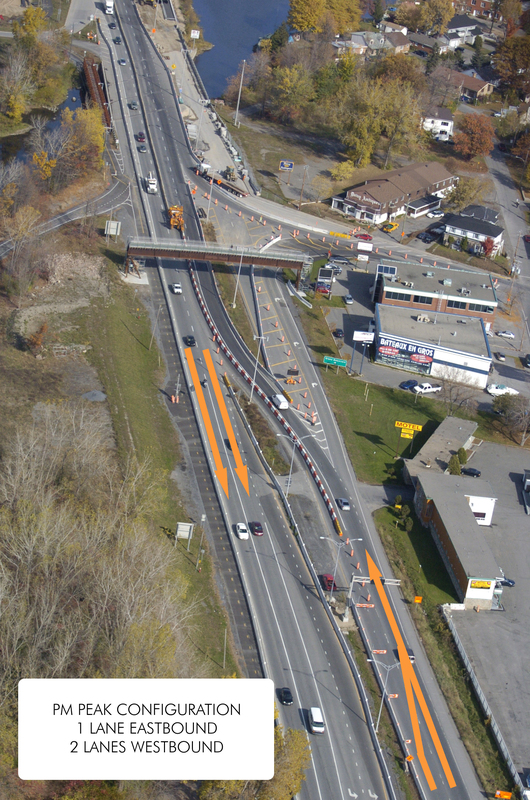 Versilis worked hand in hand with the Quebec Ministry of Transportation, the design engineers and the contractor to install a solar powered automated lane closure solution at both ends of the movable barrier. A total of 14 automated warning signs (SwitfSign) and 12 automated gates (SwiftGate) were installed. 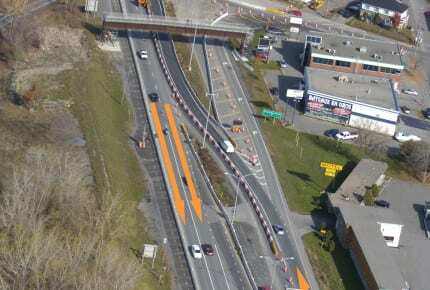 All lane closing and opening operations were conducted in safety with the push of a button using the SwiftGat system. 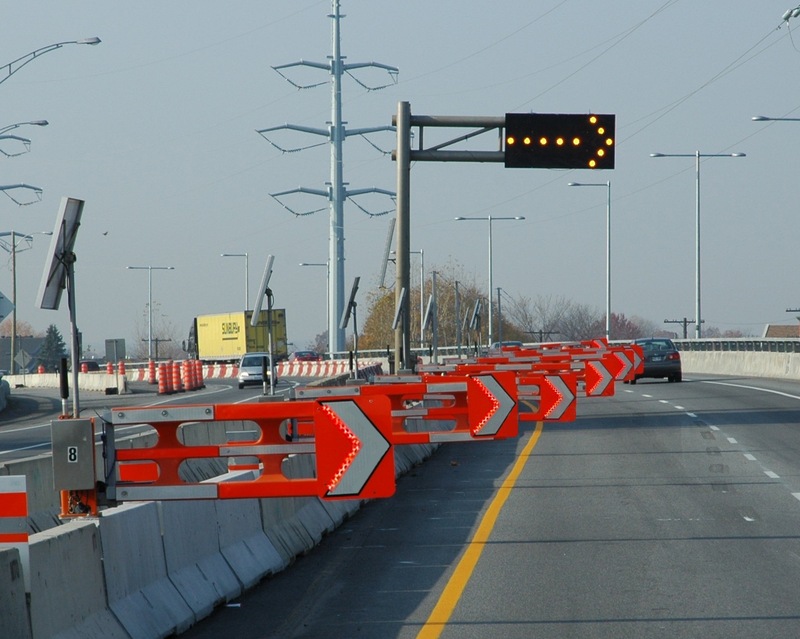 The automation eliminated the need to have workers deploying and dismantling traffic signs and drums in live lanes. 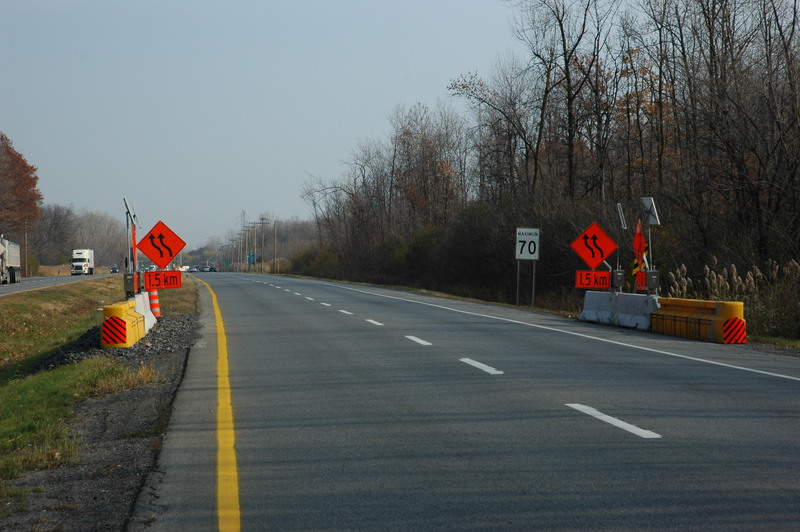 A step forward in highway safety and a lower cost solution.